The American Health Council recently elected Imke Casey, DNP, CRNA, RHIT to its Board of Nurses. Currently a nurse anesthetist at the Indian Health Services Department, an agency within the U.S. Department of Health and Human Services, Dr. Casey provides quality input to ensure that operations run smoothly and efficiently. While she has held her current role for 18 years, she has spent nearly two decades expanding her skills and knowledge in anesthesia and nursing informatics while educating the next generation of nursing experts. When she was younger, Dr. Casey often cared for her brother after he suffered injuries from a car accident. The experience left a nurturing imprint in her mind, which led her to pursue a career in the nursing science. She enrolled at Columbus State University and earned an associate’s degree in nursing in 1993; then she completed the bachelor’s degree at Emory University in 1995. Later, she attended the University of Puerto Rico and completed the master’s in nursing anesthesia in 1999. In 2011, she added a post-graduate certificate in healthcare informatics from Nova Southeastern University. By 2015, Dr. Casey obtained a Doctor of Nursing Practice degree from Georgia College and State University. The following year, she took her current position with the Indian Health Services and accepted a graduate nursing adjunct faculty position with Wilkes University. Each day at the Indian Health Services, Dr. Casey works alongside colleagues to ensure that quality anesthesia services are provided. She takes pride in her ability to enact change within the communities served by the Indian Health Services. Her successful career is a product of her work ethic, and she humbly thanks her family for their support throughout her career. She credits a strong family foundation, superb mentors, and her determination for her success. 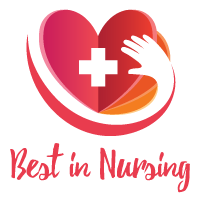 To ensure that she remains connected with other healthcare professionals, Ms. Casey is a member of several organizations including the American Nurses Association, the American Association of Nurse Anesthetists and the Health Information Management Systems Society. She is also a member of Women’s Giving Alliance and the Community Foundation of South Lake County. An active member of the healthcare industry, Ms. Casey plans to continue to teach the next generation of medical experts in the future.